Fresno State President Joseph Castro welcomed students and faculty back to campus Monday (Aug. 21) in a pair of assemblies at the Save Mart Center. A record 25,200 students enrolled, 78% from the Central Valley. Despite the uproar over controversial comments from a professor, the school announced charitable giving increased 22%. Castro addressed the Randa Jarrar controversy during the faculty assembly and with the media. He is taking a pro-First Amendment approach. “More speech, clarifying our views, understanding each other, listening to each other—that makes our campus stronger; that makes our democracy stronger,” Castro said. 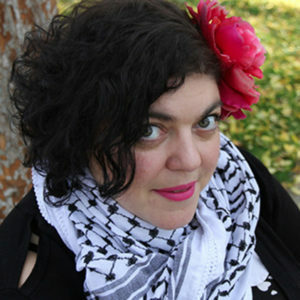 Many found Jarrar’s criticism of Bush to be unacceptable, creating a backlash in the Fresno State community. Castro said at the time, that although he felt the comments disgraceful, she would not face punishment. Since then, comments from Jarrar surfaced, insulting farmers, and white editors. GV Wire asked Castro where he draws the line of free speech regarding social media and video statements attributed to Jarrar. “The comments that came out recently and even before were on a private social media channel. If those kinds of comments were made directly to a student in a classroom, that is a whole different matter,” Castro said. Fresno State will hold a First Amendment forum Sep. 17. Additionally, the Academic Senate will discuss social media practices for faculty in future meetings. Castro updated the progress on fixing and renovating Bulldog Stadium. Last season, the stadium fell into a partial state of disrepair, in part because of a broken water line. “We have strengthened the whole east side. I can tell you it is safe,” Castro assured. Additionally, the school installed rails to help older fans up and down the stairs. “Our next phase, with (new athletic director) Terry Tumey’s leadership, is to enhance the overall experience there. We are going to improve bathrooms, make it more ADA compliant. We are going to look at ways to make the experience more comfortable for our fans of all ages,” Castro said. 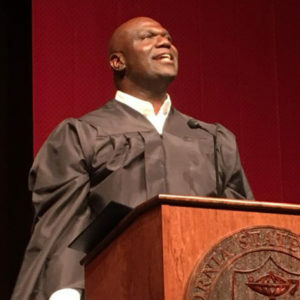 Tumey announced during the new student convocation, that freshmen will be able to attend the first football game of the season — Sept. 1 vs. Idaho — for free and be able to run on the field for the pre-game introductions. Castro said the improvements will come over time. He said the school needs to replace the field’s turf in the next year or two. The man that Tumey replaced, Jim Bartko, recently landed a fundraising position at the University of Oregon. He talked about his separation from Fresno State in recent newspaper interviews. “I was blindsided,” Bartko told The Oregonian about his fateful meeting with Castro and Vice President Deborah Adishian-Astone. Technically, Bartko resigned in Nov. 2017, accepting $75,000 in severance. He also told the paper that Castro and Adishian-Astone labeled him “an incompetent alcoholic” at the meeting. Bartko admitted to drinking issues, related to revelations he was molested by a basketball coach in his youth. Castro continues to defend the personnel move. Bartko still filed a claim against Fresno State, saying he did not leave voluntarily. 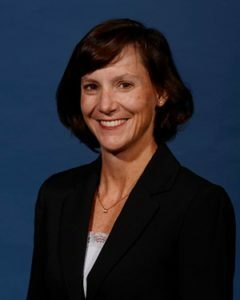 The Fresno Bee reported that the athletic department hired Meredith Jenkins, formerly an administrator at Auburn, as the interim deputy. However, Jenkin’s departure from Auburn was not without controversy. A softball player filed a Title IX complaint against the school, alleging a relationship with an assistant coach. Several players had proof of the relationship in the form of text messages, AL.com reported. “According to ESPN, five players said during that March 30 meeting Auburn executive associate athletic director and senior women’s administrator Meredith Jenkins told the players they were risking arrest for taking the text messages from their teammate’s phone and ordered them to delete the messages,” the story stated. Castro defended bringing Jenkins aboard. “Meredith is a very talented administrator. We’ve talked with Auburn. We understand what happened at Auburn. They have given her strong letters of recommendation,” Castro said. He said she left after the new Auburn athletic director decided to change staff. In responding to the reports of Jenkins’ involvement in the softball scandal, Castro said, “There is no evidence that I’m aware of that supports that allegation. We talked to Auburn about it. We did our due diligence. She is a very talented person,” Castro said. If it had been a conservative who spoke out, it would have been a whole new ball game. Your apology and decision are not acceptable! Why doesn’t fresno state have a probationary status type of category. where controversial professors have audio of their classes distributed on fresno states website live. So. the community can know if the professor is creating an unwelcome, learning conditions for any students or not? if they are not being inappropriate in class, what is the problem?